A new exhibition tells the story of the German “aliens” detained in their thousands at British camps during the First World War. 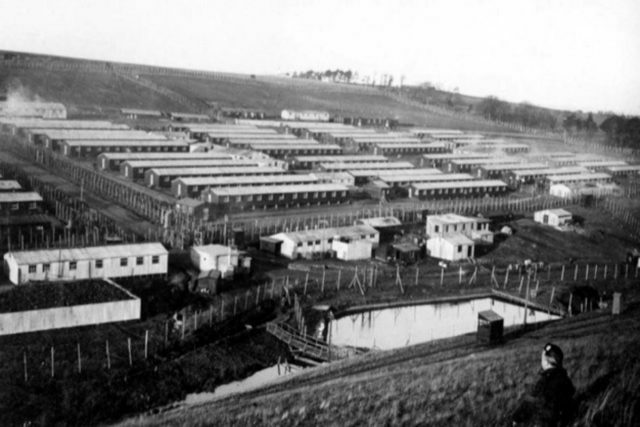 Stobs internment camp near Hawick in the Scottish Borders held around 4,500 civilians and military prisoners of war, the second largest of its kind in the Empire. It features in Behind the Wire: Civilian Internment in the British Empire 1914-1919, an exhibition launched at Hawick Museum on Sunday. Stobs is one of the best preserved camps and has become an important archaeological site which continues to offer insights into detention during the Great War. A single hut remains, along with the foundations of several others, and a cairn in memory of those who died there is located by a cemetery. The exhibition will be shown in Ireland and South Africa, with plans to take it to Canada and New Zealand. Researchers are meanwhile undertaking translations of German language texts that were produced by Stobs detainees. They include letters and a camp newspaper. Professor Stefan Manz of Birmingham’s Aston University, part of the Stobs research project, said: “Stobs is really unique. I think there’s a lot of potential there to make this into a really interesting archaeological site and memorial site of the First World War. Stobs had been a military training ground until war was declared on August 4 1914 and a day later the Aliens Restriction Act was passed by parliament. German civilians – specifically men aged between 17 and 55 – were detained in large numbers on grounds of national security. In some cases they were arrested for their own safety in the midst of widespread anti-German feeling. In total around 30,000 were interned in Britain. Professor Manz said: “No crime needed to be committed in order for the government to round up these so-called enemy aliens. “The fear was of spies, of saboteurs, of people rushing back to the German army and being able to fight for Germany. Conditions were relatively good in the camp, as the Hague Convention covering the humane treatment of prisoners of war had been ratified several years before. Detainees were given relative freedom to pursue activities to avoid so-called “barbed-wire disease” – a term used to describe the depression and nervousness of internees with no privacy, nothing meaningful to do and worries about the family they had been forced to leave behind. Many used their professional skills inside the camp, offering services to fellow prisoners as hairdressers and tailors. Others worked in postal rooms, kitchens and hospitals. 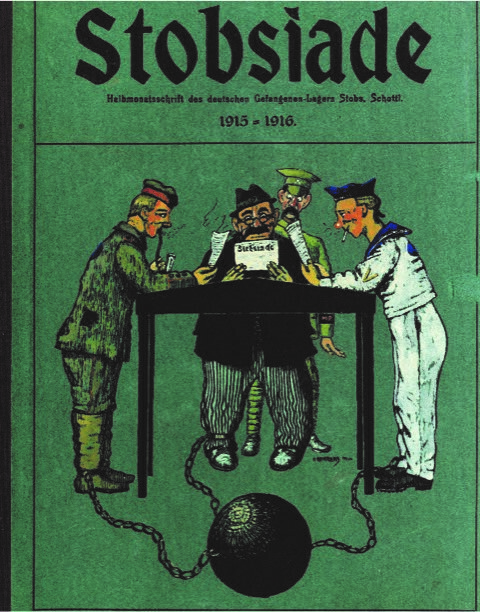 Insights into life in the camp have been obtained through copies of the camp newspaper, Stobsjade, which they sent copies to their relatives, but not before it had been approved by the censors. Among those who died during internment were 35 soldiers, four sailors and six civilians. Stobs was decommissioned by the army in the 1960s and the bodies buried there were all exhumed and reburied in a German war graves cemetery in Staffordshire. The memorial stone at Stobs, which bears the inscription “To our comrades who died far from home”, is being restored and there are plans to host a ceremony there on Armistice Day.